Check out the latest Shtrands Reviews on My Subscription Addiction! That box could not be found. 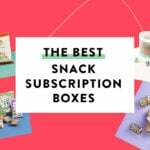 Browse our ultimate list of subscription boxes. Looking for beauty boxes or a monthly treat box for your dog? Maybe you'd like to try a personal styling service or a meal kit box? Use the menu to browse by category and interest to find just what you're looking for. "I wish I got the lip duo I got the brush again, and don't got tools selected"